Classic Elite Yarns: Knit along with us! In this book, you call for "No Stitch" in some of the charts - help! I'm new to charts !! 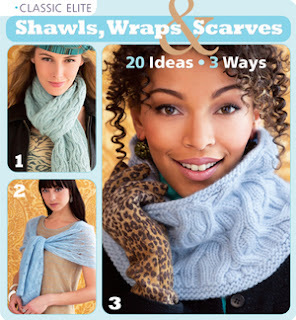 Love the knitted wraps, I'll go for scarves. Looks easy, great job. Thanks for sharing it !